I commented on these email or lies before. This however is the best one so far. At the heart of our welfare reforms is a simple goal: to tackle the culture of welfare dependency that Labour allowed to develop. So we’re creating a system that helps people stand on their own two feet – restoring the incentive to work and ensuring that work always pays. Gone will be the days when it could make more sense to sit on benefits than enter work. Now, the right choice is also the logical one. I’m going to bite my lip on this have just lost my job due to being disabled. Our new Universal Credit is already transforming lives, freeing people from welfare dependency and helping them provide for themselves and their families. The coalition’s welfare reforms have been heavily criticised by 17 charities and non-profit organisations in a report to Birmingham City Council. Yesterday I visited the North West to find out first-hand how the Universal Credit pathfinders had been working in practice. I met with local authorities, the voluntary sector, housing providers and work programme contractors as well as staff and managers at the Jobcentre in Ashton-under-Lyne, which as you know has had the longest experience of handling Universal Credit claims. I would like to take this opportunity to record my gratitude and appreciation for the time they took to meet me and I am grateful also to you and officials at the DWP for helping to arrange this. These meetings confirmed to me that the principle of Universal Credit is a good one that could bring real benefits to claimants, communities and taxpayers. It was also very clear that professionals across the public, private and voluntary sectors in these areas are working extremely hard to make Universal Credit a success. However it was also clear that there remain a range of serious problems with the current operation of Universal Credit which risk being replicated and multiplied across the country on a far larger scale if Universal Credit unless they are resolved. Yet Labour refuse to back the scheme. Having opposed every one of our vital welfare reforms, including the benefit cap, again they stand in the way of progress. So I need your support. Add your name today to show you back the important changes we’re making to the welfare system. The difference between the Conservatives and Labour on welfare is one of values. The Conservatives stand for giving people the security of a job and hope for a better future. We believe in rewarding the willingness to work and helping people get on in life. By contrast, the only thing you can honestly say that Labour stands for is more welfare dependency. 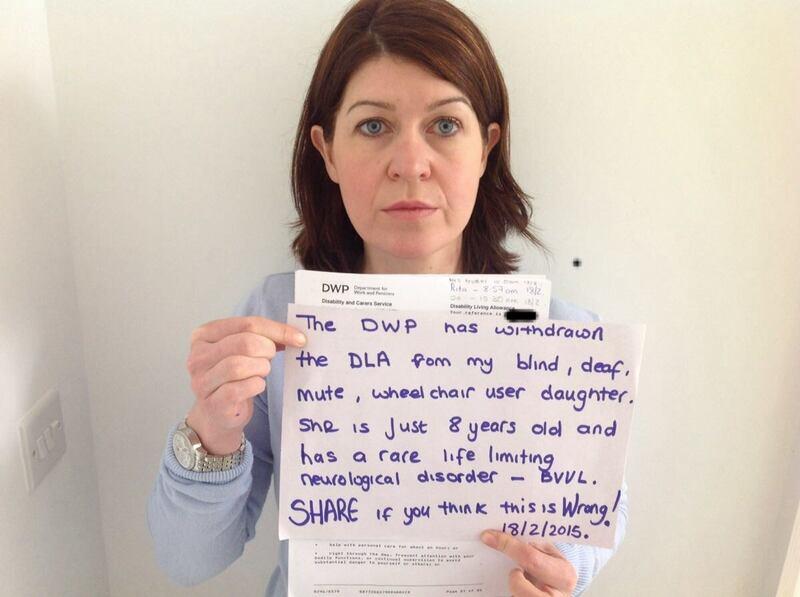 They truly are the welfare party. We can’t let them wreck the progress we’ve made. Add your name today, and let’s keep up the important work of turning Britain around.